Gail has been doing spiritual counseling as an intuitive, clairvoyant, and tarot reader for 8 years, but her intuitive abilities were strong all her life. In her childhood, Gail’s family disapproved of her gifts, and was cause and effect essay on divorce often frightened by her abilities to predict events and tell things about people. They discouraged her to use them and she eventually lost interest, not wanting to frighten the people closest to her. During her adult life she began a search for her biological father whom she never met and had strong feelings he might have passed on. Her search led her to seek the advice of psychics, tarot readers, and mediums. Through this search she learned a great deal about her own gifts as a psychic and medium and that she came from a long line of Native American and Egyptian Shamans or Wise Ones. She also learned that one of her great, great grandmothers had been a reader of chicken bones. Always a seeker of truth and the mysteries of Life, Gail’s travels took her to Africa and Sedona, Arizona in search of answers and a beginning connection with her roots. Gail finally “came out of the closet” so to speak and began reading for friends who were so inclined. 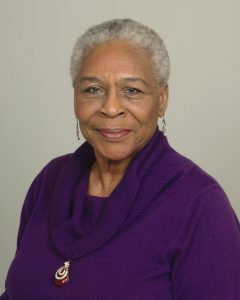 Gail also works with an ancestor whom she gave the name, Buffalo Spirit, in honor of https://writemypaperz.com/ her father, who she learned was a Buffalo Soldier and a Korean Prisoner of War who died in Korea. In this video, I refer to my friend, Sandra Cronin, my classmate, Debbie Light, and one of my teachers, Shala Kilmer. Thanks and much love to these Ladies for helping me discover and share my abilities as a medium. See where Gail will be appearing next on the Upcoming Events page.